Collection of samples found in hospital vault reveal genetic mutations that may be responsible for rarest forms of disease. The order also called on civilians to join a “Smoke Free Task Force to help carry out the provisions of this order” and apprehend and charge violators. As Gillison notes, no clinical trial has yet tested whether HPV vaccines protect against oral infections. Her study compared infection rates between those who received a shot of an HPV vaccine and those who did not, out of a group of 2,627 young adults aged 18 to 33. In glioblastoma, the cancer cells resemble those in the developing brain, suggesting that the Zika infection could attack them too. "If we can learn lessons from Zika's ability to cross the blood-brain barrier and target brain stem cells selectively, we could be holding the key to future treatments." A number of changes could affect the future of clinical trials, including the increased involvement of health-care providers, said Thomas Pike, the former CEO of Quintiles, during a talk here last week. 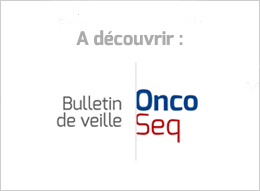 Updated analyses from the Kisqali® pivotal Phase III MONALEESA-2 trial in hormone receptor positive, human epidermal growth factor receptor-2 negative (HR+/HER2-) advanced breast cancer to be presented at ASCO. KEYTRUDA is the Only Anti-PD-1 Therapy to Demonstrate Superior Overall Survival Versus Chemotherapy in Patients With Advanced Urothelial Carcinoma Post-Platinum Failure. The accelerated approval for the first-line indication was based on data from KEYNOTE-052, a single-arm, open-label trial in 370 patients with locally advanced or metastatic urothelial carcinoma who were deemed not eligible for cisplatin-containing chemotherapy. I propose that every drug company should have to work with its clinical trial participants to set a price limit on the new medication, should it come to market, and to put this limit into a binding contract. Presentations Highlight Continued Advancements in Hereditary Cancer Panel Testing. Incyte has already pushed epacadostat into phase 3 testing alongside Keytruda for all four tumor types, and reckons the combination of IDO1 and PD-1 blockade could be a cornerstone in immuno-oncology therapy, especially as the two drugs seemed to be well tolerated. Features findings from the pivotal Phase II trial of the investigational compound copanlisib in patients with relapsed or refractory non-Hodgkin’s lymphoma (NHL), as well as latest research on sorafenib, regorafenib, radium-223 dichloride and darolutamide (ODM-201). As the dust began to settle from the ASCO abstract drop last night, several analysts weighed in noting their cautious lack of optimism for Epizyme’s latest look at the data for tazemetostat, its EZH2 inhibitor now in Phase II for epithelioid sarcoma. While the data feature a small proportion of partial responses and no complete responses, in the context of the patient population they represent encouraging findings. The researchers also found that median and five-year relative survival for women initially diagnosed with MBC is improving, especially among younger women. And as it happens, she has a bit of a conflict herself: Buzyn is married to Yves Lévy, who leads the €1 billion French National Institute of Health and Medical Research, which is jointly overseen by the research and health ministries. It’s unclear how she will handle that issue. Varmus is well placed to comment on the NIH, having served as director of the institute from 1993 to 1999 before returning to lead the National Cancer Institute from 2010 to 2015. And his concerns about the proposal are shared by others, both within NIH today and among the organizations that rely on it for funding. The reason causing the misconduct is the scientific assessment system. So we are trying to [change] that and hopefully with all this work, we can really help the scientists to do real research and publish quality papers.